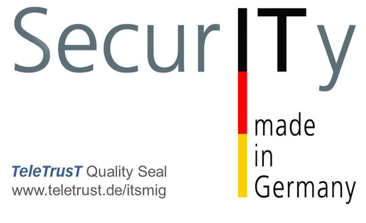 MATESO GmbH, with the product “Password Safe and Repository”, is a member of the TeleTrusT Initiative “IT-Security made in Germany”. The quality label has its roots in the co-operation between the German Federal Ministry of the Interior (BMI), the German Federal Ministry for Economic Affairs and Energy (BMWi), and representatives of the German IT security industry. This co-operation has been pushed forward since 2005.